Banner Scene. The scene where the T-rex roars at the end as the banner is falling down.. HD Wallpaper and background images in the Jurassic Park club tagged: rex dinosaur jurassic park banner ending. 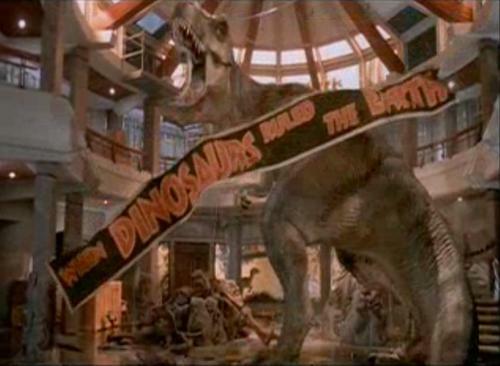 The scene where the T-rex roars at the end as the banner is falling down. This Jurassic Park photo might contain triceratops.